Which of these are permanent magnet moving coil instruments? Assertion (A): Hall effect is observed in all metals but is very appreciable in semiconductors. Reason (R): Hall effect transducer is very suitable for measurement of magnetic flux density. Assertion (A): The trigger circuit of a CRO is excited by the same signal as Y plates. Reason (R): The time base generator develops a saw tooth voltage. Assertion (A): The speed of a shaft can be measured by using a dc tacho generator. 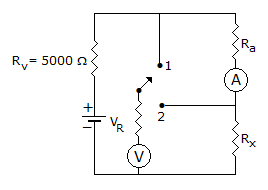 Reason (R): A two phase servometer can also be used as a speed transducer. Rayleigh current balance is an absolute instrument. Which of the following is used as detector in audio frequency ac bridges? Assertion (A): The gall tinsley potentiometer is a coordinate potentiometer and has two exactly similar potentiometers. Reason (R): An ac potentiometer may measure the unknown voltage in polar form or rectangular coordinate form. Assertion (A): The gall tinsley potentiometer is a coordinate potentiometer and has two exactly similar potentiometers. Reason (R): An ac potentiometer may measure the unknown voltage in polar form or rectangular coordinate form. If the load current is high, the pressure coil of wattmeter should be connected directly across the load. A dynamometer wattmeter is suitable for both dc and ac. Assertion (A): A photovoltaic cell is greatly affected by temperature. Reason (R): Both germanium and silicon can be used for photovoltaic cells. The scale of dynamometer wattmeter is non linear. Assertion (A): For best results the system of a D'Arsonval galvanometer should be slightly under damped. Reason (R): Degree of damping affects the time taken by the instrument to come to final position. Assertion (A): An RTD uses platinum coil. Reason (R): Platinum is a very stable material. Which of the following, is not a piezoelectric material? The scale of thermocouple instrument is linear. Which of the following combinations is not used in thermocouple transducer measurement of temperature?